Barter Books : Boulton, W S [ed.] 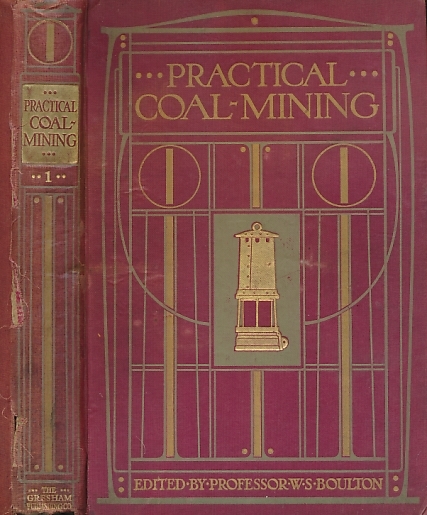 : Practical Coal-Mining by Leading Experts in Mining and Engineering. 6 volume set. London. : The Gresham Publishing Co Ltd.
48 plates (7 in colour). 260 x 180 mm (10 x 7 inches) - vii, 160pp; vi, 188pp; vii, 192pp; vii, 212pp; vii, 176pp; viii, 383pp + plates.